California. 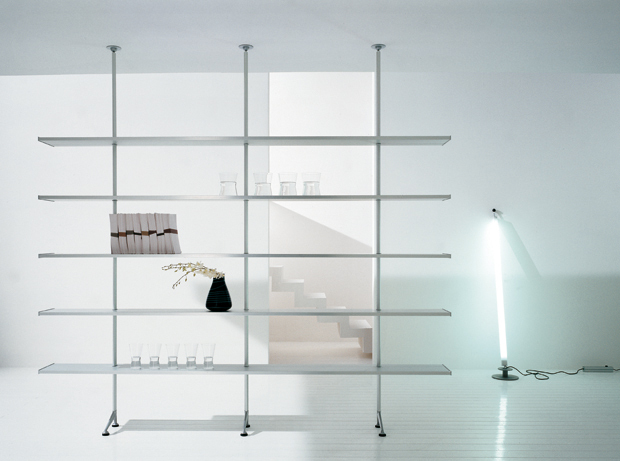 Shelving system in anodized aluminium, lenght of shelves from 150 cm to 400 cm. A variety of depths are available 30 cm (10+20 the ‘Mono’ version), 30 cm (15+15), 35 cm (15+20), 40 cm (20+20). 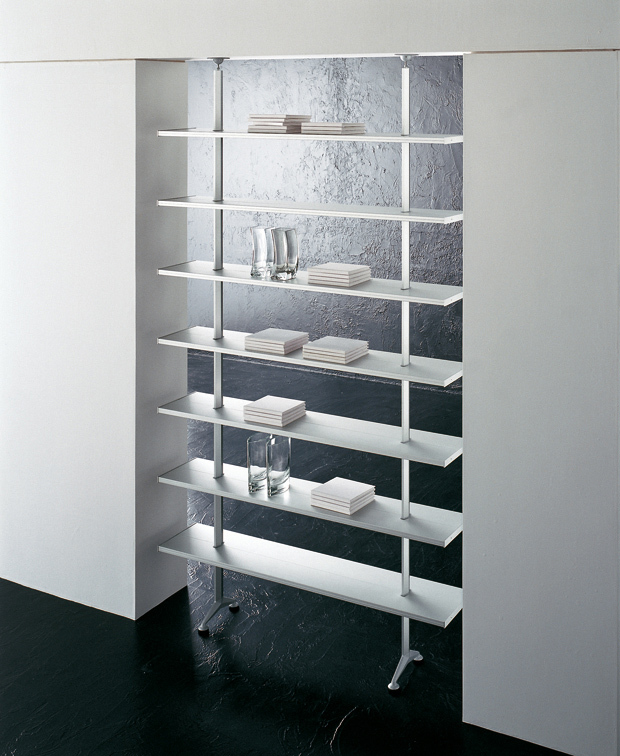 Solutions and compositions are numerous because the shelves can be placed at any height along the uprights, the depth and length of the same shelves can be decided. 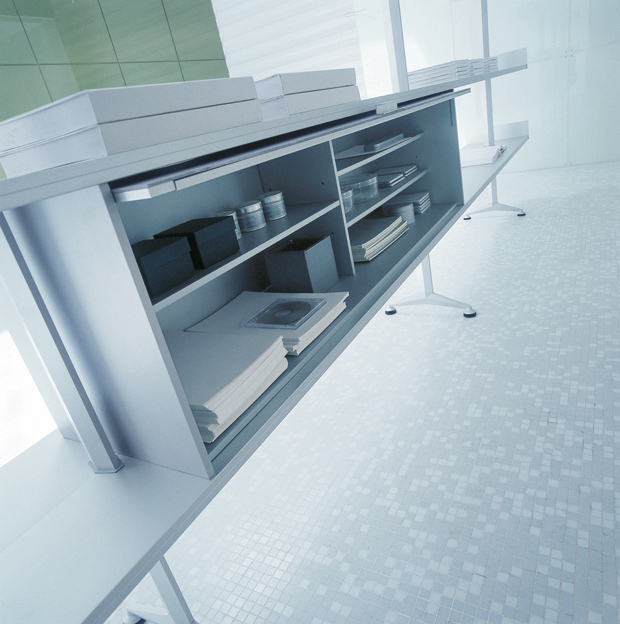 For office or home-office use, one shelf may be increased by 20 cm, for a total of 50 cm,55cm or 60 cm. 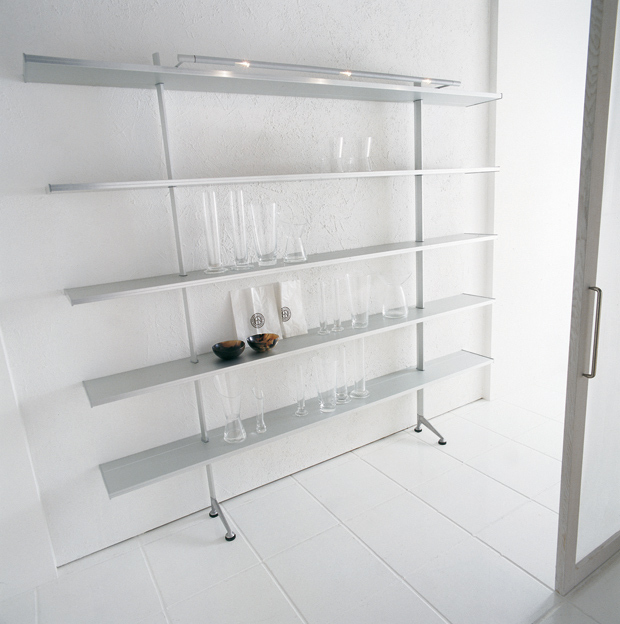 This shelf is secured by means of a special support, California can be converted to a clothes-rack system for closets and a bar is available for mounting to uprights.